In any major city in the United States today, people have easy wireless access to the Internet on smartphones. This is a luxury that many Americans do not even realize they have, and it is something that is just beginning to be offered in some of the largest cities in Africa, like Lagos, Nigeria. Airtel, a telecommunications company headquartered in New Delhi, India, launched a Wi-Fi service to bring Internet access to Lagos that will allow people to access the Internet in public through their smartphones, laptops or any device with access to data services. This is a groundbreaking change for Lagos. Anyone can use the service, regardless of what network they subscribe to. Now, unlike ever before, Nigerians will have public high speed internet access in Lagos. Hotspots have already been set up in Ozone Cinema, Yaba, Silverbird Galleria, Victoria Island and Alausa Shopping Mall. But Airtel plans to expand beyond this to more malls, and also airports and universities all over Nigeria. The new Wi-Fi access will supposedly help to decrease the digital divide: the lack of access to Internet and technology in impoverished regions as well as the lack of skills to use technology. This is an acute issue in Africa: in 2013, according to World Bank, only 38 out of 100 Nigerians were Internet users. In 2013 in the United States, 84 of 100 people were internet users. However, because of the price of the Airtel service, wireless data access may not reach the poorest populations of Nigerians in Lagos, the populations where the lack of smart technology and access to internet is felt most acutely. Airtel spokesperson, Maurice Newa, explained how the service works. “The bundles can be purchased using Airtel recharge cards and debit cards while Airtel subscribers can buy bundles with their airtime. The service, which is also aimed at promoting the use of Internet, will provide customers wider opportunities to connect with friends, family and business associates.” Customers purchase data bundles by time (30 minutes, 1, 2, 3, or 5 hours). It seems fairly simple and cheap from an American perspective. To purchase 30 days of 1 GB smartphone usage with Airtel is 2,000 Nigerian Naira, or about 10 American dollars. The United States’ GDP per capita in 2013 was 53,042— so this service amounts to only a tiny fraction of the average American income. For the average Nigerian, whose GDP per capital in 2013 was 3,005.5 USD, 30 days of 1 GB of data is slightly expensive, but maybe doable. But for vast amounts of Lagos citizens who are below average, who live below the poverty line on less than one dollar per day, this service is most likely impossible to afford. And, these impoverished sects most likely do not own the smart technology to even be able to take advantage of wireless data. Airtel says it will offer 15 minutes of free data usage each month. Consider the hours the average American spends scrolling through FaceBook, Twitter, Instagram, news apps and more in just one day, and 15 minutes amounts to very little. In 1999 when communication technology was much less integrated in day to day life, UN secretary general Kofi Annan pointed out how access to communication technology is a fundamental human right, and the digital divide is a dire issue that needs to be addressed globally. Lagos has often been called the world’s next ‘mega-city’ due to its increasing urban population growth and economic development. As of this year, the population of Lagos is expected to reach 25 million and it is certainly showing no signs of slowing down. In recent years, Lagos has witnessed a surge in commercial business and industry, resulting in an increase of wealth to the country as well as a fortunate group of Nigerians and foreign investors. Yet, despite the influx of national growth, many Nigerians are still living in substandard conditions and are subjected to malnutrition, poverty and economic instability. According to The World Data Bank statistics, 62 percent of Nigerians live on less than $1.25 per day. Extreme poverty remains high in rural parts of Nigeria, where political instability, low access to education and inadequate healthcare are contributing factors of the nation’s high rate of poverty. Surprisingly, a study conducted by the Oxford Poverty and Human Development Initiative, or the OPHI, found that 22.1 percent of Nigeria’s urban population is vulnerable to poverty while only 14.4 percent of the rural population is vulnerable. The population most affected by high poverty rates is always children. In Nigeria, 43.2 percent of the population are children ages 0-14. With the average woman birthing at least five children, it becomes difficult for large families to sustain themselves with the few resources they are provided. Lagos, Nigeria is faced with the issues of increasing population and competition for the nation’s resources. 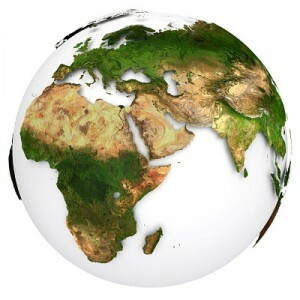 The World Bank estimates the country’s GDP at $521.8 billion and the Nigerian economy depends largely on oil exports, agriculture and a growing technological sector. But what of those living below the international standards of poverty in Lagos? According to the OPHI, 20 percent of the Lagos population are vulnerable to poverty, and the intensity of economic deprivation in Lagos stands at 41.1 percent. In Lagos, two out of three residents live in the city’s notorious slums—settlements built to accommodate the overcrowded communities. Many families and individuals who inhabit these slums came to Lagos from other regions of Nigeria with the hope of escaping the rural poverty, deprivation and political instability of their home states. However, the Lagos city center has offered little solace. The Ajegunle district, located in the heart of Lagos, is home to some three million Nigerians who live in poorly built structures with little to no infrastructure and poor standards of living. Many of its residents lack access to clean water and proper sanitation; families often do not have sufficient resources to send children to school. Poor access to water and improper water sanitation has also been credited as a leading cause of economic disparity in Lagos. Local fisherman rely on the region’s water sources to provide fish for them to sell at markets and feed their families. The frequently contaminated water does not yield very many fish, causing many families to go hungry. There is a large gap that exists between the wealthy and poor in Lagos. While the wealthy continue to climb the economic ladder, many of their poor compatriots remain at the bottom. Yet, in the wake of Nigeria’s recent presidential election of Muhammadu Buhari, some Nigerians remain hopeful that democracy will open doors for improving Nigeria’s future. 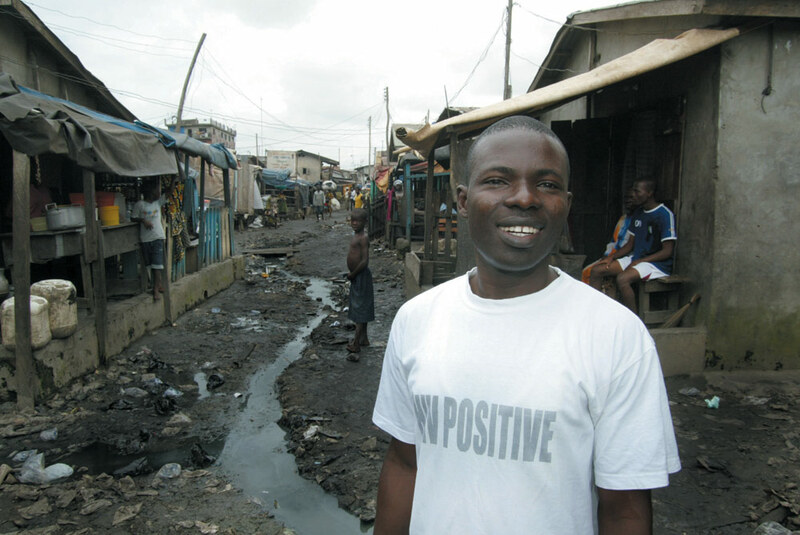 In the city of Lagos, Nigeria, progress promises economic growth and reform. Yet, as the ambitious governor Babatunde Fashola regenerates the city, progress also threatens to destabilize the 70% of residents in poverty. Future plans range from building more than 1,000 additional housing units to constructing a light-rail network across the city. In the financial district, a Porsche dealership recently opened. Yet, the growing homeless population contrasts with this economic expansion. 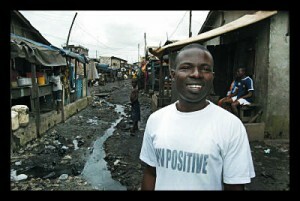 In its quest for a Lagos “that glitters,” the government forced an estimated 10,000 from the Badia East slum. While men, women and children search through the rubble for any salvageable remnants, most residents feel shocked at the loss, but others direct anger at the governor. “This is the home I am staying in before Fashola demolished it,” asserts 28-year-old John Momoh. Badia East continues a 15-year trend, according to activists. In the summer of 2012, the government dispatched machete-carrying men to remove about 30,000 residents of the Makoko neighborhood. Residents report receiving a 20-minute warning before the government backhoes arrived. Badia East collapsed a year ago. Today, though, Lagos progresses with plans to benefit every resident. With more than 21 million residents, this Nigerian city generates an estimated 10,000 metric tons of waste per day. The National Population Commission projects a 3% to 6% annual growth rate. As population rises, the government invests in a more efficient management of waste to provide housing and electricity to its residents. A severe shortage in electricity led to a reliance on diesel generators, which pollute the air and threaten the health of low-income residents. Those in poverty often live in the more polluted districts and cannot afford healthcare to combat potential health complications. There is progress, however. A pilot program converts the waste into methane gas, providing the much-needed electricity. At the Olusosun waste site, pipes plunge vertically into the ground to collect the gas. One day, these pipes will fire boilers to generate electricity, reports Abimbola Jijoho-Ogun of the Lagos State Waste Management Authority. Though not a new innovation, this policy reflects an understanding of the environment. With more than 45% of its waste organic, the city can use this high moisture to provide for its residents. The recycling program offers this solution to unemployment in Lagos. Referred to as “resource providers” by the city, 500 men and women search through the waste and collect items to sell. “We go through the scraps and look for shoes, iron, plastic, which we sort and sell it to companies,” Samuel Jatel reports. Jatel, 29, provides for his wife and 3-year-old child as a resource provider. In four years, he can earn about 5,000 naira (roughly $30) per day. Employing these residents in the construction of the new houses. Labor and payment program offers security to those who lost their homes at the hand of progress. The Flying Doctors Nigeria is an air ambulance service based in Lagos, Nigeria. Founded by Dr. Ola Orekunrin, the service is the first of its kind in West Africa. The company was founded to serve a need for immediate air transport for those injured or in desperate need of medical attention. According to Orekunrin, for many in Nigeria, medical help was next to impossible to find because the two or three good hospitals were two to four day journeys away. For a nation that has a huge oil and gas industry, the fact that there was no system for transporting to hospitals quickly seemed to be a glaring error in heath care to Orekunrin. Dr. Orekunrin herself was impacted by the lack of transportation for the sick or injured. A few years ago, while Orekunrin was studying in the U.K., her 12-year-old sister fell gravely ill while on vacation in Nigeria. She needed medical care urgently but the local hospital could not care for the condition she had. The family was shocked to find out that there was no available air ambulance service in all of West Africa to move the girl to a better healthcare center and that they would have to call for a flight all the way from South Africa. By the time the flight was even available, the little girl had already passed away. For Orekunrin, the sudden loss of her younger sister was both shocking and life changing. A doctor by the age of 21, Orekunrin had a promising career in the U.K. as one the youngest, most talented, and ambitious young leaders. Yet she left it all to move to Nigeria to address healthcare in the African nation. So Orekunrin went to study evacuation models and air ambulance in developing countries. In 2010, she launched her own company Flying Doctors Nigeria. Flying Doctors Nigeria is currently in its third year and continues to swiftly transport people who need urgent medical care. It has since airlifted and provided expert health care en route to 500 patients. The company uses a fleet of planes and helicopters in its work. The service has carried all sorts of injured or ill from victims of traffic accidents to gunshot wounds. This transportation is critical to patients as roads in parts of West Africa are often poorly maintained and badly lit at night, making transportation in cars both inefficient and difficult. There are still many hurdles that this young company must face. First and foremost, aviation business is highly expensive in Nigeria. Orekunrin has stated “keeping costs down is always a challenge.” Furthermore red tape is always tangling up businesses. Yet with a growing financial services sector and a growing petroleum and gas industry could fuel demand for companies like Flying Doctors Nigeria. For Orekunrin and those who work with her, their labor is difficult, but the rewards for their hard work and dedication are life saving. In Nigeria, over 70 percent of the population lives on the equivalent of $0.07 or less. This is a sad and startling fact considering that the country has the third largest economy in all of Africa, that it has plentiful oil resources, and that, in 1980 less than thirty percent of people there were living in poverty. Thus, in a time where we are making such strides toward reducing poverty around the world, it is unsettling when a country with so much potential begins to regress. Some believe that the government should take a more active role in assuring that such resources are used wisely and to the benefit of the citizens of the country. Concerning agriculture, one of the largest industries in Nigeria, however, many are suggesting that the government take a smaller role. Dr. Akinwumi Adesina, the Minister of Agriculture in Nigeria, is trying to get Nigerians to see the industry as a business in which government should have a minimal role. This is an especially welcomed opinion for those who have criticized the government’s handling of the sector. Innovation is sorely needed. Emmanuel Omole, the CEO of an agricultural development company in Lagos, is insisting that the main way such innovation can take hold is for youth to be attracted to the industry. Youth must feel that the sector is a lucrative one. Negative connotations associated with the industry (that it is “dirty,” for instance) must also die. Not only are many Nigerians ready to welcome youth input, but their presence is also sorely needed. Present agriculturalists are aging out of the industry, leaving a labor void that, if addressed properly, could help improve the lives of the nation’s young people, or could severely affect the economy if left unfilled. Despite the fact that food production is such a large part of the Nigerian economy, because most of the farming there is done on a small scale without much large-scale manufacturing, the country still spends a great deal of money to bring international food into the country. From 2007 through 2010, Nigeria spent the equivalent of $628 billion USD importing food alone. Even though it is one of the African countries most blessed with fresh water, the nation spent 97 billion naira on importing fish. Nigerian top officials have pledged to make Nigeria the region’s – or more ambitiously, Africa’s – leading business center. The progress that Nigeria has made in recent years is hard to miss. Last week, former President Bill Clinton traveled to Nigeria to help unveil the Eko Atlantic City, reclaimed land that, a recent New York Times article says, has been built up into a “Dubai-style shopping and housing development built out into the Atlantic Ocean.” Nigeria reclaiming this land means big things for its economy and will provide a great deal of job opportunities for local community members. Clinton even praised the Eko Atlantic City project for being a destination hotspot for global investment. However, there is an ugly side to Nigeria’s progress that is going unnoticed as this push for progress in Nigeria is actually displacing and harming the poor. In Lagos, the government’s vision for progress plowed over hundreds of wooden dwellings in the slum of Badia East, leveling it in 6 hours. This left thousands of Nigeria’s poorest residents without homes and without hope. The land on which people’s homes sat were seen as areas of prime real estate or areas where improvement and money could be made. In the future, new homes will be built on the land. Yet, the chances of the displaced being able to afford these homes is basically nonexistent, according to the Lagos State Commissioner for Housing. Within 6 hours, thousands were displaced, many saying “they were [only] given 20 minutes, at most, to pack up their belongings” and leave, according to the New York Times article. In the wake of uplifting global development, it is important to remember that, despite progress, there will always be those who live on the fringes of society whose livelihoods must be taken into account when designing the frameworks of the future.